A Cup of Shizuoka "Popcorn Tea"
Are you familiar with "popcorn tea"? I thought it was a pretty popular colloquialism, until I asked my friend if he wanted to try some. His response was essentially, "What in the world is popcorn tea?" Actually, I didn't know the Japanese name for it. I had always drunk it, but my family referred to it as popcorn tea. 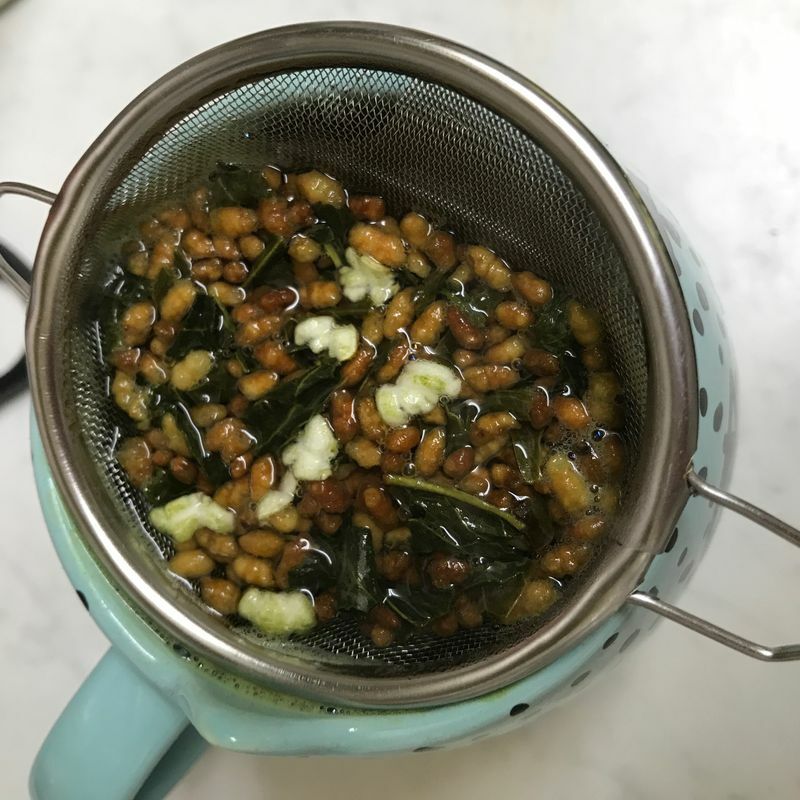 Turns out that I meant genmaicha the entire time. It's a green tea with roasted rice added to it. During the roasting process, some of the rice grains explode, causing them to look like little popcorn kernels. Turns out, back in the day, green tea was an expensive commodity. In order to stretch out the tea stash, rice was added. 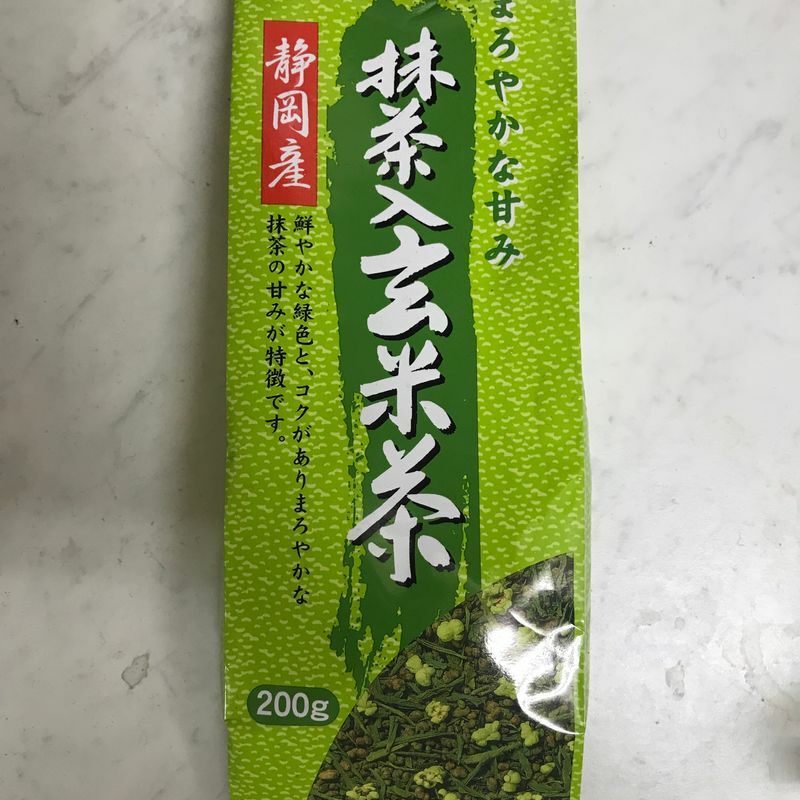 What started out as a poor peasant hack still survives today in delicious form, with some of the best tea Japan has to offer: Shizuoka green tea. I went to my local grocery store because I was craving, and picked out this bag. It prominently advertises that the tea is sourced from Shizuoka prefecture, so I knew it had to be tasty. Brewing instructions are located on the back of the bag, in order to create the perfect cup. 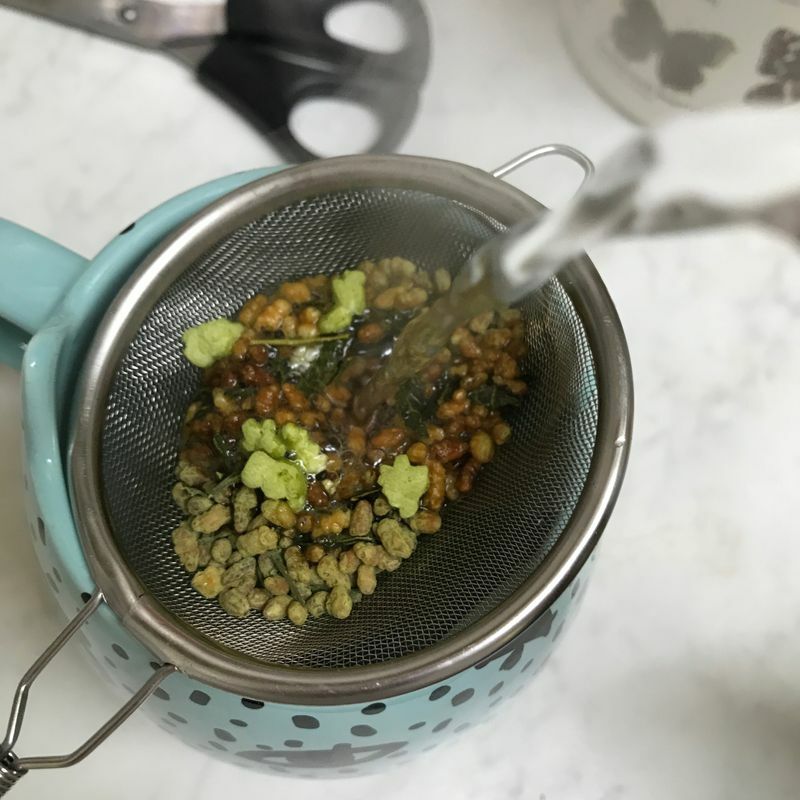 However, I don't own a teapot (how scandalous for someone who claims to love tea as much as I do) so I brewed it in a similar way to a normal cup of tea. I use a tea strainer placed over a cup in order to get a good pour. 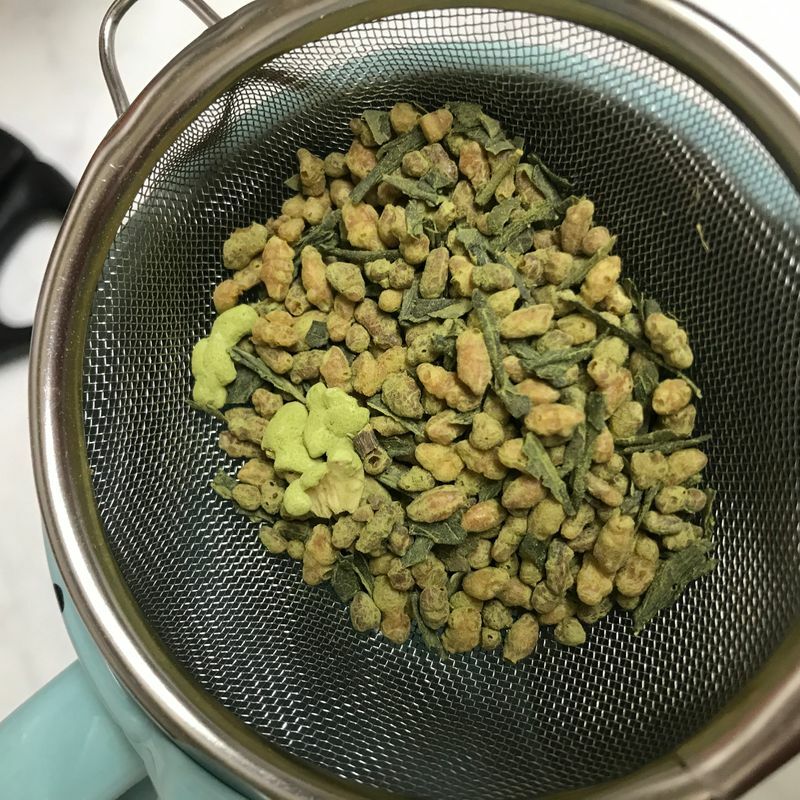 I emptied a bit out from the bag and was surprised to see a green tea powder coating parts the tea. A bit of the powder fell through the strainer and ended up at the bottom of my cup, so I knew it would be flavorful. You can see the "popcorn" here, as well as the roasted rice kernels and the Shizuoka green tea. All were dispensed evenly throughout the mixture so no flavor was too overbearing. I got my water hot and poured it over. 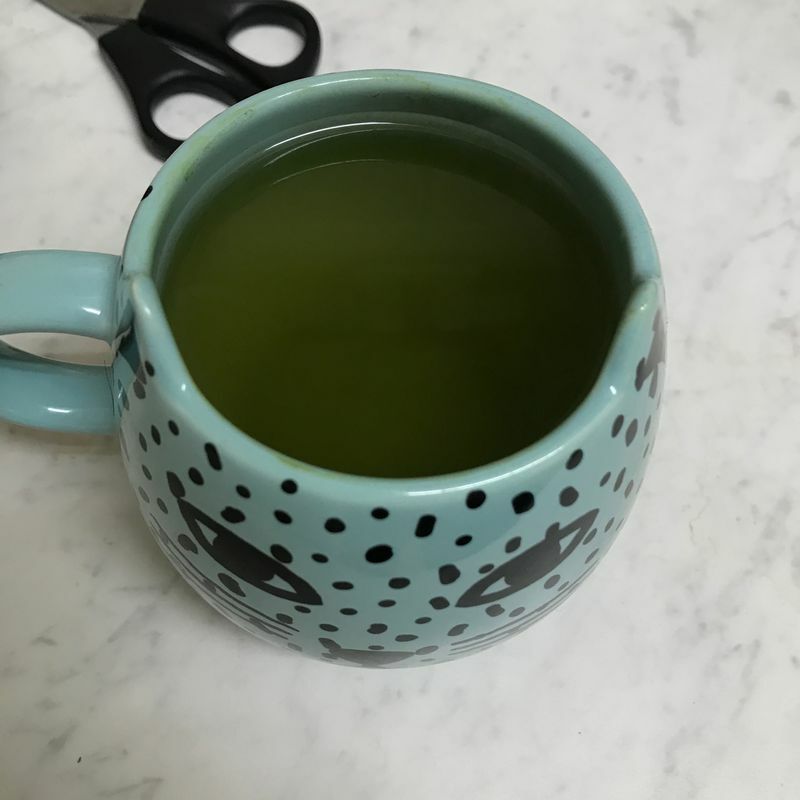 The hot water washed the green tea powder from the rest of the tea, mixing into my cup. I let the tea steep for a bit, following the instructions on the back of the bag the best that I could. The aroma was so rich and pleasant that I was tempted to pull the strainer out earlier than the time recommended because I wanted to drink it already. When I was finally finished, I was left with a cup of beautiful looking tea. 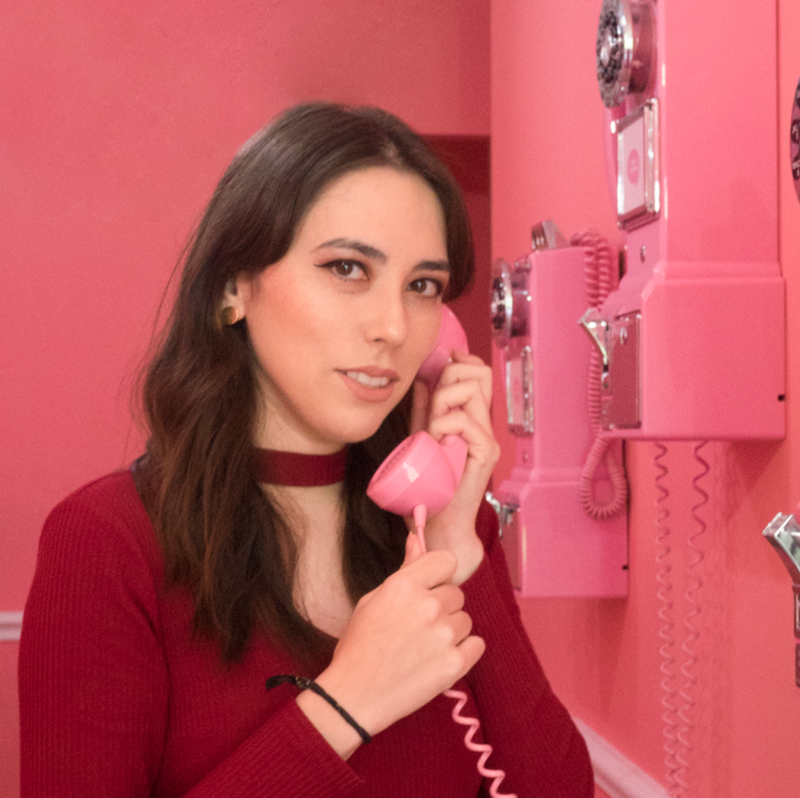 The color was a strong, bright green. It wasn't what I was expecting, especially considering that the draw of this particular blend of tea is the rice in addition to the tea leaves. However, there was almost no trace of the rice in appearance, only in the smell. I think the generous green tea powder in the bag, along with the potent tea leaves made this tea delicious. 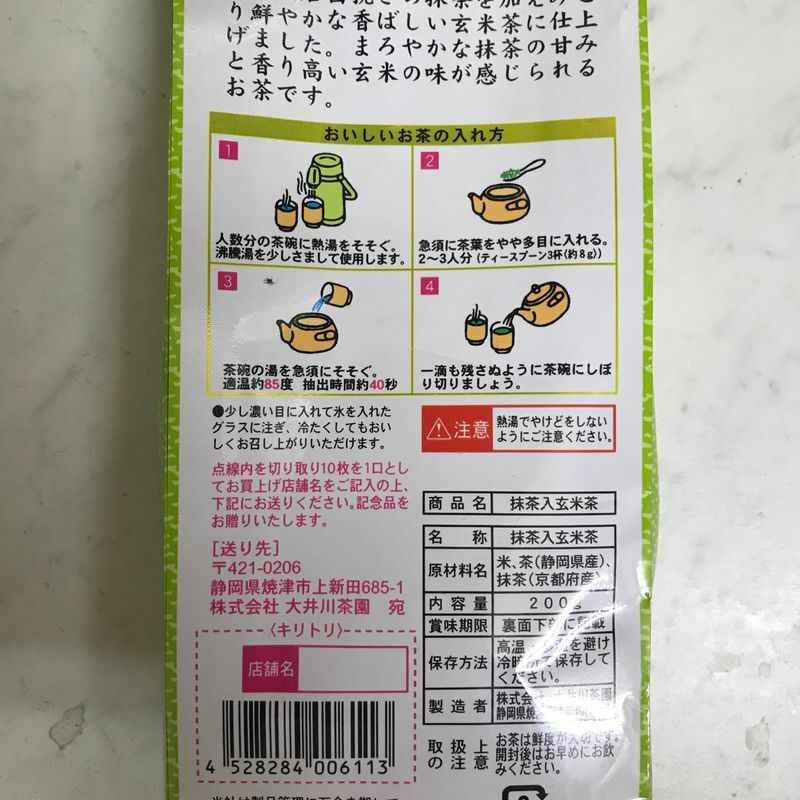 Instead of the roasted rice overpowering the green tea flavor, or the other way around, they balanced each other out to create a wonderfully flavored drink. I have no doubt that this was only possible due to the quality of the leaves and the powder used. With less potent leaves, the rice would've overpowered the delicate flavor of the tea. But by using high-quality ingredients the entire way through, it created something amazing. I recommend this to anyone looking to switch up their normal tea drinking routine. I'm almost out of my bag, and I just bought it recently!